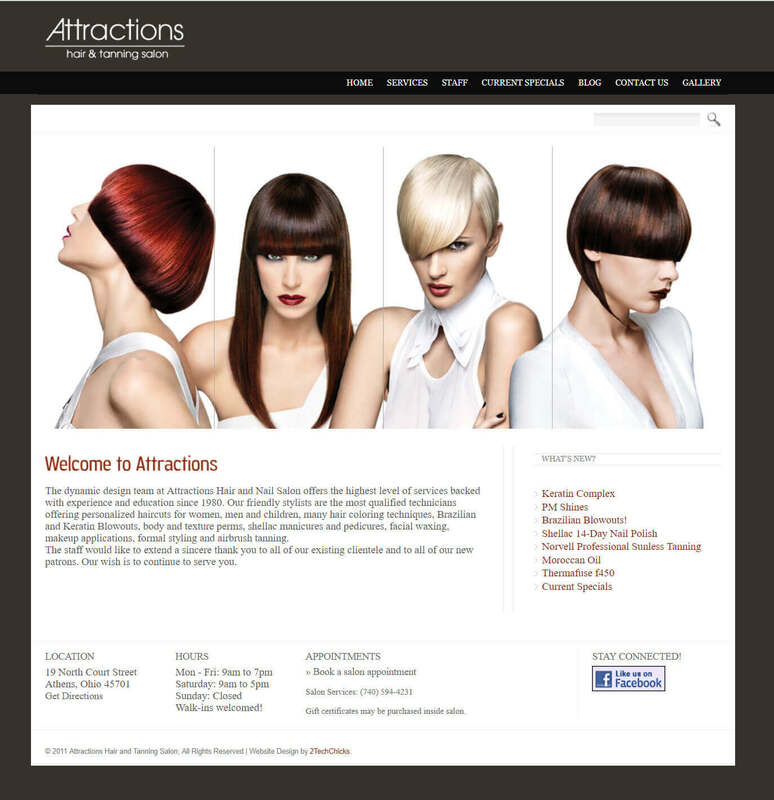 Attractions Hair and Tanning full website re-design from the ground up. 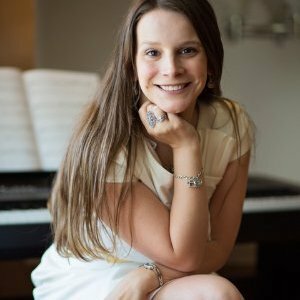 When 2techchicks contacted us for this project we were asked to build a website that is easy to navigate, has a gallery, will allow for easy contact for appointments, designed so that their staff could easily manage without having to know how to code. It was a pretty fast project, very small website, so our turnaround time was only a week. 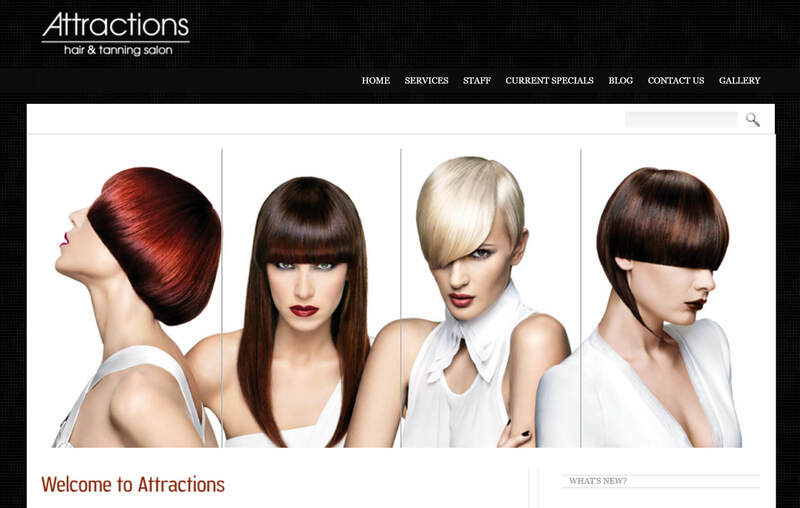 We created a sleek easy custom design and custom integrated it into WordPress. This website features a gallery, really nifty accordion slider and coupon code management. Other Created in conjunction with 2techchicks.com. 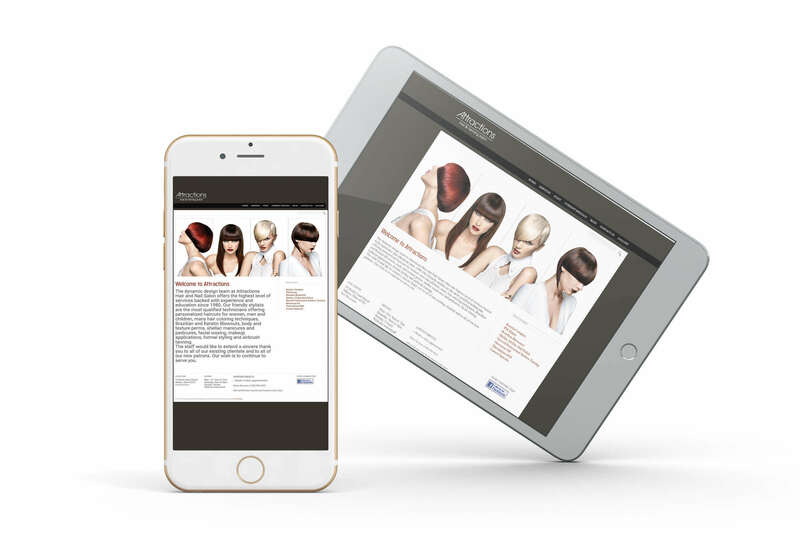 Client wished to retain their desktop design throughout mobile devices, our solution was to code a mobile version specifically for devices instead of a responsive website.